For the past two months, my wife and I have been traveling around South East Asia. We’ve spent the majority of our time in Indonesia, with a one-off stop in Singapore for a long weekend (flights were $9 and we needed to renew our Indonesian visas, so it was a no-brainer). Toward the end of our time in Indonesia, we made a trip to the Gili Islands, just off the coast of Lombok. 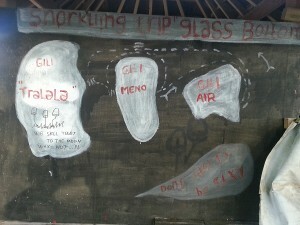 There are three Gili Islands – Gili Trawangan (Gili T for short), Gili Mano and Gili Air. Each island has its own unique atmosphere (Gili T is more party, Gili Mano is basically undeveloped, and Gili Air is that quiet middle ground, more suited for honeymooners or people who prefer less crowded locations but all the essential amenities one might need while visiting an island paradise – like Wi-Fi). We decided to spend the majority of our time on Gili Air. I knew this place was different the moment our wooden boat floated up to its sand and coral beaches. Unlike most Indonesian cities (and most SE Asian cities for that matter), instead of being greeted by hundreds of taxi cab drivers looking to take all our money (we stand out here), we saw a dozen horse drawn carriages lining the street with not a single moped in sight (again, for SE Asia, this is bizarre). Courtney and I had done our research, though – Gili Air is only a few square kilometers, meaning everything is in walking distance. We had no set plans or booked reservations – we normally wing our travel and this was no exception. As we walked along the half-cobble, half-sand roads, we were greeted with the standard set of Indonesian idiosyncrasies (smiles, laughter, offers for a place to stay or eat, and lots of ‘mista’ and ‘boss’ thrown into their sentences for good measure), and passed by dozens of independently owned and operated shops. One shop in particular caught my attention. 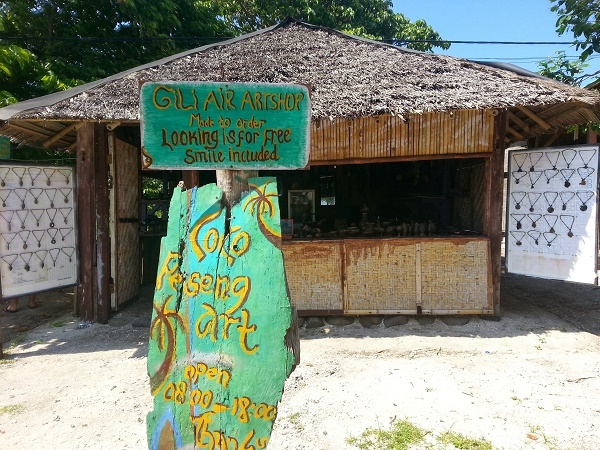 Gili Air Artshop Made to Order. Looking is for Free, Smile Included. But it wasn’t the warm, inviting sign that drew me in; it was the man sitting outside the shop, hacking away at a coconut that did. Nin is an artist. He carves, paints, and constructs things from wood and other natural materials. Today, he is carving a necklace out of a coconut. 1. Nin is a professional. This is his life. It’s what he does every day for hours a day. His craftsmanship shows. 2. Nin is an artisan. He works with his hands to bring his vision to life. And he’s skilled at it. 3. Nin’s workshop is sustainable in the perfect sense of the word. He uses discarded wood and coconuts to make his art. This isn’t for marketing purposes – it’s out of necessity. Naturally, I had to buy something from Nin. He charged me 200,000 Rupiah for a coconut necklace. As a point of reference, that’s less than $20 US. As another point of reference, that’s more than it cost for one night on our beach front bungalow, and about 2 times as much as dinner for two at a high end restaurant on the island. Depending on how you view it, it might seem like I got ripped off. Relative to prices on the island, 200,000 Rupiah is quite a bit of money. And I never bartered (something you’re supposed to do in Indonesia). Of course, after watching him work, I didn’t want to. 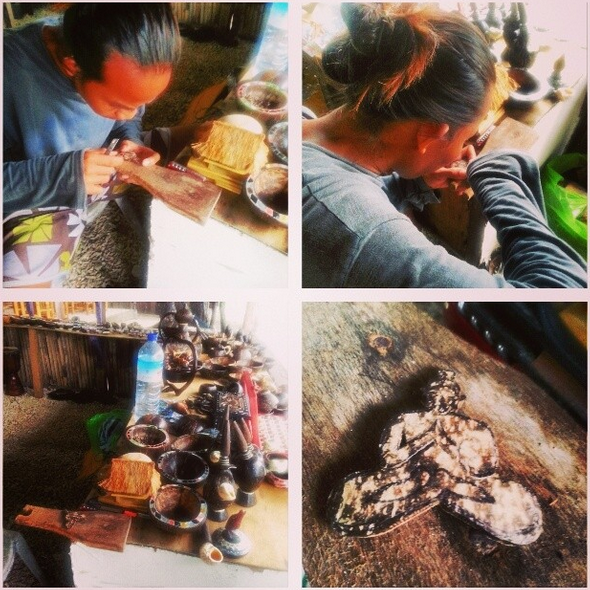 He spent three days carving this necklace from a coconut shell. Every day, I watched his progress, forming something from (essentially) nothing. When it was finished, I wondered if 200,000 Rupiah was too little. I tell this story for a reason. First, to point out that artisanship still exists. All over the world. And many people just like me are willing to pay a premium for it. What does it take in the digital age – in the age of pixels, gigabytes, and high resolution – to create something artisan? Is it worth bleeding over our work when there’s nothing to physically hold at the end of the day? In the beginning of this essay, I quoted Jiro Ono, a sushi chef made famous from a little documentary called Jiro Dreams of Sushi. He lives and breathes the perfect sushi dish. He’s been doing it every day for over 70 years and will continue until he physically can’t. Jiro charges over $300 a meal. He does because he can – because people want to see a master artist at work. We’re naturally drawn toward those who perfect their craft, who’ve weathered the inner creative battle for decades and come out on top. And we’re happy to pay a premium just to be in their presence (Jiro’s sushi shop is booked months in advance). Until I think about how I heard of Jiro. I’ve never met Jiro in person, nor been to his sushi restaurant. It was a documentary – a digital download – that brought his work to my attention. It was this medley of pixels, gigabytes and high resolution that shined a light on his work and his philosophy. The digital world made this message possible to spread. And no other medium could have delivered the message with more impact. As entrepreneurs, creators and instigators in the 21st century, a very big part of what we do is online. Yet instead of killing off what is left of artisanship, I honestly believe it’s helping to grow and expand the roll of the artisan (just listen to some of the interviews I’ve done with true digital artisans like AJ Leon and Dan Adams, among others) . The roll of the artisan is expanding. The question isn’t one of accessibility or ‘how’ – anyone can be one if they choose. The question is: are you willing to put in the hours, days, and years (and the sweat, blood, and tears) to create the perfect product or service for the people who matter – the ones who want to hear from you? Start today – before you’re ready. And we’re willing to pay a premium. Want to support Artisanship in the 21st century?  Subscribe to The Creative Entrepreneur and support an artisanal publication while helping fund entrepreneurs in developing countries. I watched Jiro Dreams of Sushi last year whilst I was in Tokyo, also streamed it online. It blew me away how committed to mastery and perfection Jiro was, and the level of quality he aspired to and encouraged his sons and apprentices to aspire to also. What I take away from this particular post is the importance of storytelling when it comes to an artisan selling their work. It’s not enough to put a product on a stand and hope someone buys it, but if you can share your intention behind the work, why you’re passionate about it, and just how much sweat equity you put into it then that is undeniable value. I’m not going to walk into an art gallery and buy an artwork but I’m very likely to buy something when the artist themselves connect with me and share their amazing story of creation. Anfernee – thanks so much for the kind and thoughtful message. So true about the impact of STORY on how we value what we value. Art is a great example of this…no ‘tangible’ benefits to it beyond the enjoyment of the onlooker. The story behind the painting is what gives it value.